You've got a full day planned: first you're shopping downtown, then taking a walk at the beach, and finishing your day with cocktails in town. Do you have a bag that looks perfect no matter where you go? We've got the perfect match for you: introducing our newest handbag line, Dragon. 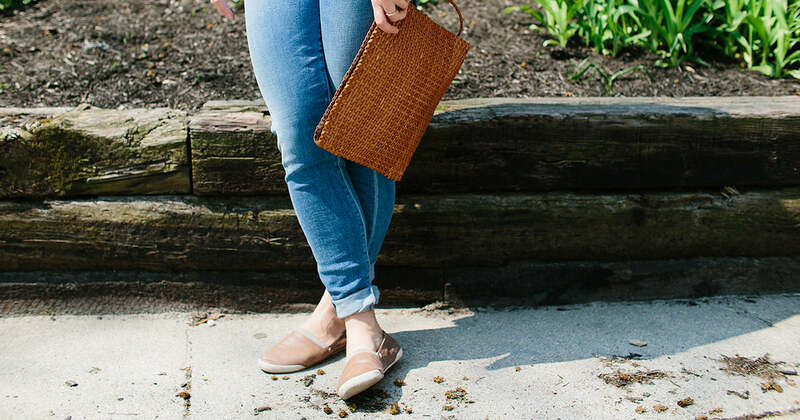 Each bag is handwoven with tanned leather around a wooden block that creates the structure and shape of the bag, and takes as long as a day and a half to create. 100% crafted in India by a team of artisans, each bag is truly a work of art. Each Dragon bag is finished with a small metal medallion for the patron of travelers for extra good luck, wherever you go! 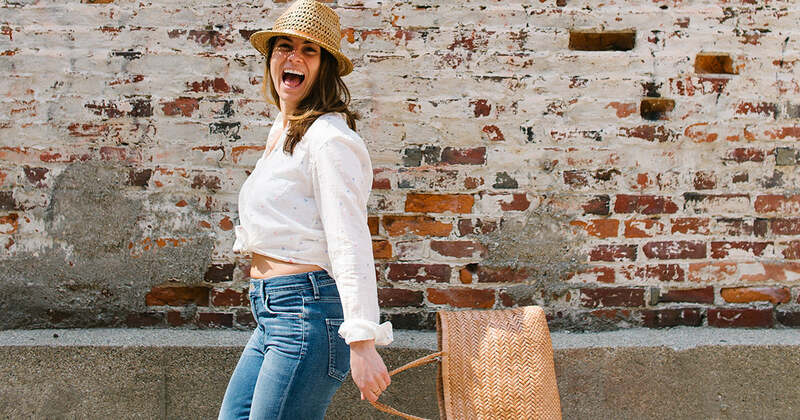 Functional, beautiful, and unique, these bags are accessories you'll want to keep for your lifetime. Need help picking a style? The Camp Bag features a herringbone weave and is available in tan or natural. 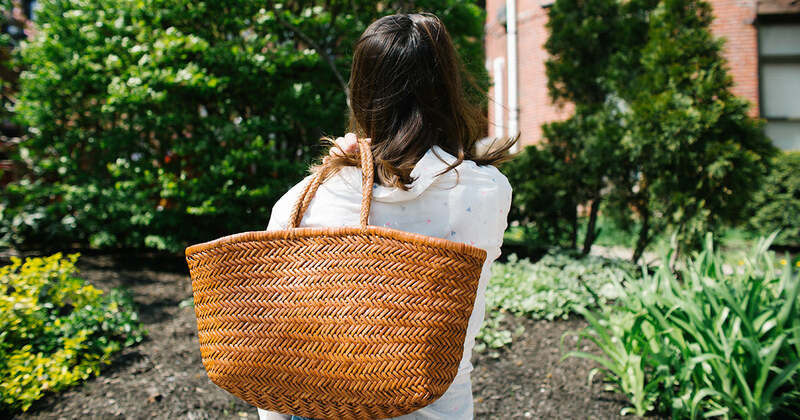 It's got all the roominess of a tote, but isn't too big for everyday use! This Jump Bag reminds us of a playful straw, beach bag! It's the largest of the Dragon bags, and is big enough to tote all of your essentials! 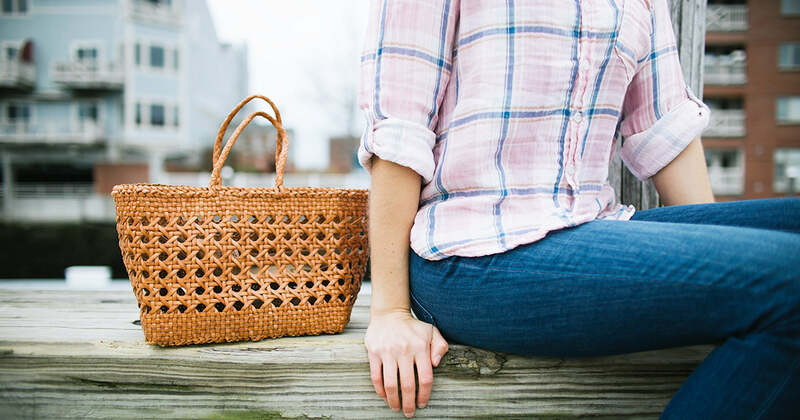 The Cannage Totes, available in full-sized or small, are a boxy, cannage weave bag that takes any outfit from standard, to polished and chic. If you want a bag for your sunglasses, on-the-go makeup, and wallet, this Pochette Zip is perfect! Carry it as a clutch, or hang it from your wrist while you're busy shopping. Want to know the best part of these bags? The natural leather gradually softens and patinas with age! Visit us to see these gorgeous bags in person!